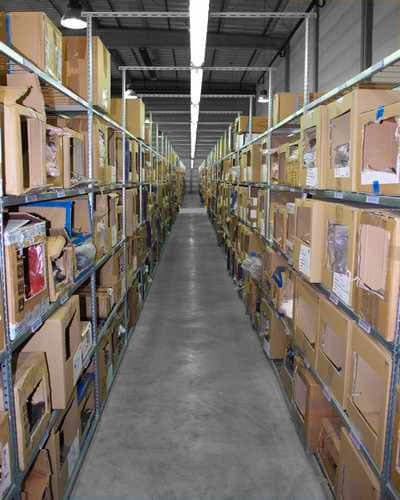 TRANSITIC fits out your warehouse so that you can optimise workflow and stock. Our storage systems offer flexibility and multi-functionality, maximising the available space. Traditional static storage consists of a set of perforated ladders as well as hanger rails. The height of these bars can be adjusted in steps of 50 mm. 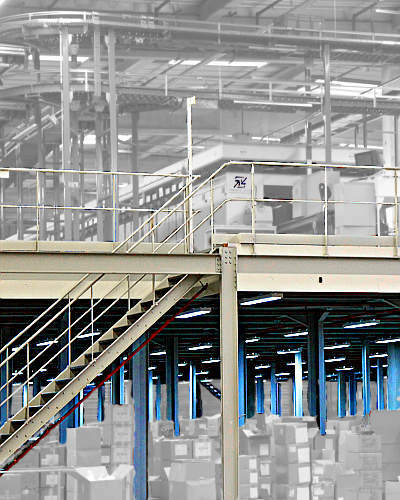 Our mezzanines and platforms are made according to your requirements and specifications: from hot steel to cold steel, as per the desired frame and span. Multipurpose shelving allows for increased flexibility for storage of different types of products. It consists of a set of shelves with trays on which to store boxes. Levels can be adjusted individually so space is optimised. 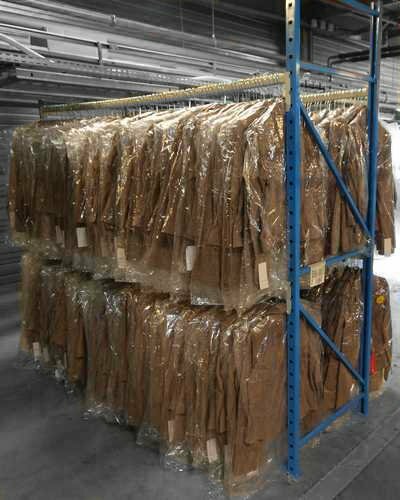 This shelving is particularly suited for storing garments where heavy rotation is required, or for grouping certain batches together. The static storage is made of cold profiles using 75 mm perforated posts to allow a fine adjustment of the storage levels. Each aisle can be equipped with a rail that allows the feeding and evacuation of items via the TRANSITIC system on trolleys.